We had a lovely walk yesterday. 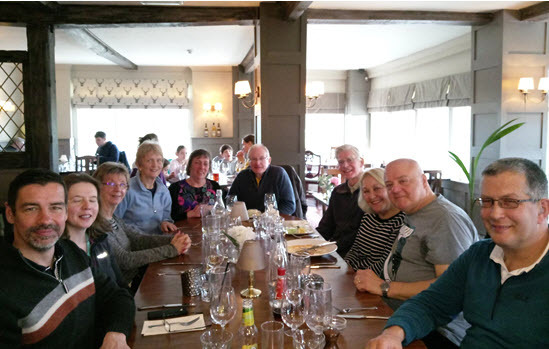 Thirteen of us including, first timers, Julie, Simon and Ollie, his 8 year old son as well as three dogs, all completed the 5 1/2 miles around the lovely village of Penshurst. 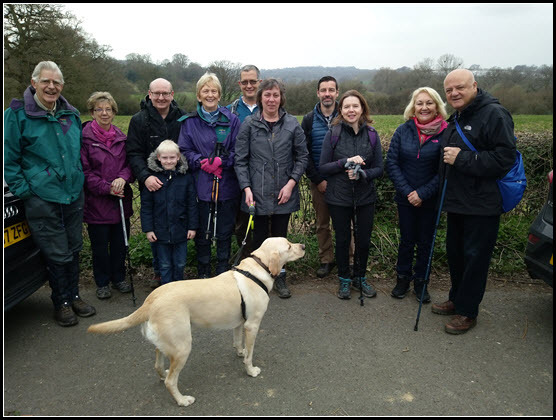 The walk consisted of a variety of landscapes, past open fields at the start where we encountered 7 other dogs, across open grassed pastures, up Smart’s Hill which is a bit of a climb and finishing off the final couple of miles, walking beside and across the meandering river Medway. As we approched the village, most were pleased to see the Leicester Arms in the distance, where we were due to have lunch. After talking off muddy boots, we arrived in the pub at 12.30pm on the dot. We had a good lunch, good conversation and afterwards there were good vibes about the food. It was a most enjoyable walk. I was a bit worried whether to bring Amy and Daisy, as I didnt know how they would behave and whether I could manage them with the stiles but they seemed to enjoy it. I went to my mums after and she has a big garden, they still had a lot of energy left to run around.